Opinions vary on what defines a sports car. Some people use the term to describe any vehicle that has two seats, but for our purposes, the term refers to a lightweight, high-maneuverability, high-power vehicle. They should not be confused with muscle cars, which are larger and meant for high-speed racing. Most sports cars only seat two people, but the occasional four-door, five-passenger models exist. Despite the name, sports cars aren't always luxury vehicles - some of them are quite spartan. Sports cars have been an important part of the market since the 1920s when their high power and performance attracted people who just wanted to drive instead of move people or cargo between destinations. This distinction holds true today, as sports cars are still vehicles that are more about the journey than the destination. Several specific traits help to set the sports car apart from coupes and other ""sporty"" competition. First, the low center of gravity and precisely tuned steering offer maximum control even at high speeds. This allows sports cars to smoothly navigate roads that other vehicles find treacherous at best. Meanwhile, the light body of the vehicle ensures that the car can dedicate as much power as possible to speed and control, rather than moving the car itself. Power and performance are strongly influenced by the engine and drivetrain layout, and this may be the most important thing to evaluate if you're thinking about buying a sports car. The most common layout has a front engine and a rear-wheel-drive, but some models have switched to a rear engine with rear-wheel-drive. This is intended to help with weight distribution and improve handling, and it's used by manufacturers like Lamborghini and Ferrari. A rarer setup has a front engine and front-wheel-drive, which is prone to understeer. However, it's ideal for lighter and lower-power sports cars because it significantly reduces the vehicle's weight. If you're looking for a sports car at a lower price point, you may want to look at vehicles in this style. Four-wheel drive is rare on sports cars because it adds significant weight to the vehicle, but it can be found on high-power models with the horsepower to handle it. Today, sports cars aren't as popular as sedans or SUVs, but enough of them have been sold over the years to ensure a steady presence in new and used car lots. These vehicles don't work as family cars, but if you enjoy driving, it's hard to beat a sports car for pure power and pleasure. Listed below are the sports cars that received the 2019 J.D. Power award for highest quality, based on verified owner feedback detailing the number of problems they experienced with their new sports cars during the first 90 days of ownership. Listed below are the sports cars that received the 2019 J.D. 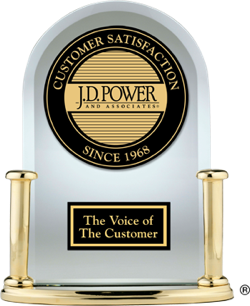 Power most dependable award based on verified owner feedback detailing the number of problems they experienced with their sports cars throughout three years of ownership. The fewer the number of problems reported, the better. Listed below are the sports cars that received the 2019 J.D. Power award for best performance based on verified owner feedback after 90 days of ownership.